For people with diabetes, it is especially important to take proper care of your feet. One of the possible effects of diabetes is a reduction in blood flow to the feet. This, combined with unstable blood sugars, can result in diabetics losing the feeling in their feet, and being more susceptible to injury andcirculation problems. As a result, it is more likely that foot complaints will go unnoticed and untreated. NICE, the National Institute for Clinical Excellence, therefore recommends that all patients with diabetes undergo an annual diabetic foot health check. 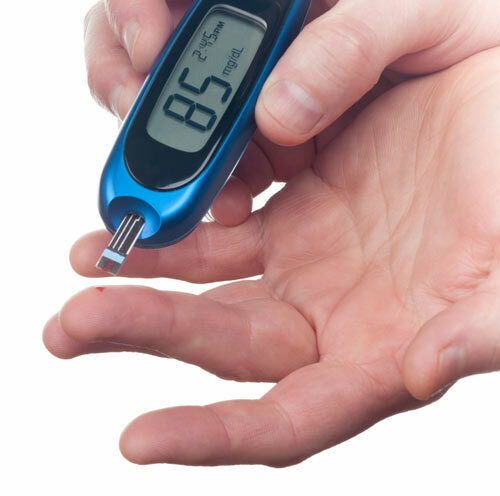 Diabetic Foot Health Checks are available here at Footprints Surgery, and can help to detect early the signs of poor circulation and loss of sensation, which in turn can help to protect your feet from complications associated with diabetes. Your Chiropodist / Podiatrist will assess the vascular supply (blood flow) to your feet, which includes checking foot pulses and using Doppler ultrasound technology. Patients’ neurological status (sensations) in the feet will also be assessed by checking the various nerves in the foot. Footprint Surgery is open 6 days a week, Monday to Saturday. We will always do our best to accommodate urgent or short-notice appointments.